Editor's Note: The LHC is gearing up for ignition after a failed attempt (it worked for only 9 days and smashed no atoms). The so-called secrets of the universe are ready to bare themselves. But maybe they don't want to be bared. Maybe the universe will not allow the LHC to operate properly because its successful operation would destroy everything. We'll find out soon enough. Or perhaps the mystery will continue. 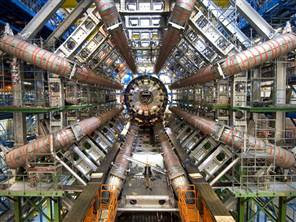 GENEVA - When launched to great fanfare nearly a year ago, some feared the Large Hadron Collider would create a black hole that would destroy the world. The world's largest scientific machine, built at a cost of $10 billion, has worked only nine days and has yet to smash an atom.